Is it out of the question to have a spot on this forum to talk about Torchlight Mobile? I understand Fedeen is making the game, so maybe there's some rule that says only they can have a TLM forum? Hope not. I say this because that forum is just for spam bots and it doesn't get cleaned up. Fedeen hasn't posted anything new in over a year and I have so many questions. Like, is TLM getting released in China, then later on globally? All I see are Chinese videos floating around. Will the playable characters in the U.S. version of the game get facelifts so they don't look so JRPGish? For example, the Embermage dude looks like he came straight out of a Dynasty Warriors glamour poster. I'd much rather get the aesthetics we had for TL/TL2. You get the jist, so, can we please discuss TLM here? I understand there's some issue with a "stamina/energy bar system." If that's a topic as emotionally charged as politics and religion then fine, we have moderators to handle any heated discussions, can the rest of us just side-step those loudmouths and please ask about the other parts of the game? The amount of posts that will get made can be probably handed by the off-topic section (now that Neo has descended to the depths of slumber once more... I miss being actually well-informed about the world's shenanigans). Other than that, YES, please make the characters less... less like whatever they look like. Straight outta Dynasty Warriors does seem fitting. No comment on the energy bar, but it was said that in the West that system would go out the window. One can only hope. You're prob right Serk, not a lot of chatter about the game. I'm wondering if maybe the reason we don't have a forum for TLM here is because Runic can't answer our questions anyway since it's a different team making the game. Is the game going to be a one-time purchase? I'm reading conflicting information. For now, we’re not going to setup a Torchlight Mobile section on the forums. While we keep in touch with the dev team in China on their progress, we’re not actively involved in the game’s development and won’t be able to answer all your questions. Besides, we want to make sure they’re able to address the English speaking community directly when ready. As many of you have noticed, there hasn’t been much said on the game in a while. That’s because all of the dev team’s efforts have been focused on Asia (a market they know better than we ever could) and we’ve been 100% focused on making Hob. A while back we decided together to push off discussions on what is done for the game outside of this initial Asia only release. 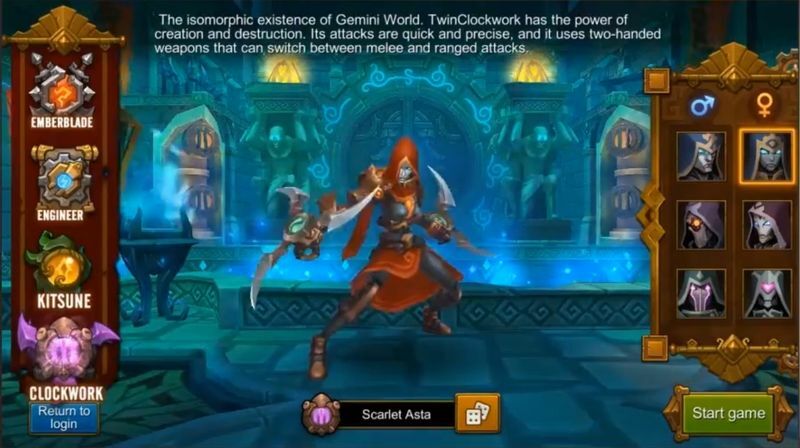 I’m sure some of you are seeing more news coming out on the game from Asia. The team at Freejoy/Perfect World announced yesterday that they will be releasing Torchlight Mobile in Greater China this Wednesday (12/21). There is more in that game than we could ever imagine and they’ve worked incredibly hard to get to release so a big congratulations are in order for everything they’ve accomplished! When we both get a breather, we’ll sit back down and go through plans outside of Asia. There is a ton to discuss, but one thing worth reiterating is: any monetization system will be fair, unobtrusive, and not pay-to-win. We know how important this is to everyone here, because it’s incredibly important for us as well. Rest assured we value what the community here loves about Torchlight more than anyone. Happy Holidays and back to Hob! Thanks, Allen. It means a lot when you folks take time to address issues. Thanks as well to DarkTails for coming back and posting this. Always appreciate your input as well. Thanks Allen, being hard at work is one of the best reasons there can be for the dearth of English news. What I'm hearing is that I'm gonna be playing it first in Japanese. Semi-woot? Thanks for the post. Not bad though I still don't like pressing my fingers against a flat screen. You got it to run Zids? I didnt even get past the first dialog box (the one with a counter)! Yeah. I used Adblock pro so I don't get pop ups or ads. Technically you can play on PC using BlueStacks Android Emulator. Hey Kva? If that apk isn't legit you'll get people ip banned. Just saying. Well, I guess the Efun сompany is a publisher, it means everything is legal. But I do not know who exactly has the rights to this game, if you have other information then share it. This link is on the site https://torchlight.efunen.com located on the "Android" button, I just gave a direct link. According to Oak over in Discord chat it's legit. Sorry, Kva. Apparently what they're doing is IP banning anyone outside of Asia until it's released over here. Hopefully they drop the bans once it becomes available outside the games current region. Apparently what they're doing is IP banning anyone outside of Asia until it's released over here. Hopefully they drop the bans once it becomes available outside the games current region. Oh, I realized what's going on. Sorry, I did not know it was an "incomplete" release. I just saw the trailer, I read that people are already playing, I decided that it's time to play for everyone! Guys, please don't post the APK on the forums. Thanks! You need to go through legit means to pick up this game in the regions where it is available. If we were to allow random APK links, those could be linking to malware which we don't want to be able to misrepresent products people may associate with us. Runic games are you serious? What kind of game is it? Small dungeons that take place in 2-3 minutes. Stamina, VIP and limits on everything. And now explain how your game differs from hundreds of similar ones. Why it was necessary to distort the gameplay so much. Okay donat, vip, but why introduce a system of stamine , limits and small dungeons? It is hoped that you will make the gameplay as similar to the pc version of the game (large multi-level dungeons, lack of stamine system and the absence of limits). Or about this game you can forget? Runic games are you serious? What kind of game is it? Hey neoa007, this game was created Fedeen Games not Runic games. And who owns the rights to the brand? Why runic games allowed the output of such a game under the name torchlight. This is an obvious deception, since the game does not have anything to do with torchlight at all. You just need to change the name of the game. And it's just a mockery of the torchlight fans. Why runic games allowed the output of such a game under the name torchlight. This is an obvious deception, since the game does not have anything to do with torchlight at all. You just need to change the name of the game. And it's just a mockery of the torchlight fans. "There are as many opinions as there are people." Runic Games lent the license to Perfect World in exchange for PW allowing them to continue making original games. PW hired Fedeen to develop it into a mobile game. Such business arrangements aren't uncommon. Its called 'being able to keep making art we find intellectually stimulating while still being able to keep the lights on and feed our families'. Runic could have kept cranking out Torchlight after Torchlight but then do you really want Torclight on the PC to turn into another Call of Duty? Does anyone who truly enjoys this series want that? Yeah it **** it's not Runic and yeah the game isn't anything like the previous two but you know what? You still have the first two to enjoy. Plus it's mobile. It's not like anyone takes mobile games that seriously. They're meant to be time wasters between bus stops and aren't in any way comparable to a full release. Now I do agree the practices Fedeen is engaging in are **** but that's just even more reason to not pay much attention to the games existence. That doesn't mean you shouldn't complain about said practices and I fully agree Runic bears some responsibility for them since their CEO has said repeatedly he'd make sure they didn't engage in them. ONE THING GOOD: Looks like a potential base for file extraction to make a new Torchlight mod for TL2 on PC! ONE THING GOOD: Looks like a new database for files extraction to make a new Torchlight mod for TL2 on PC! And it would get removed by PW for copyright infringement as Runic no longer exists and Fedeen developed it separate from Runic.